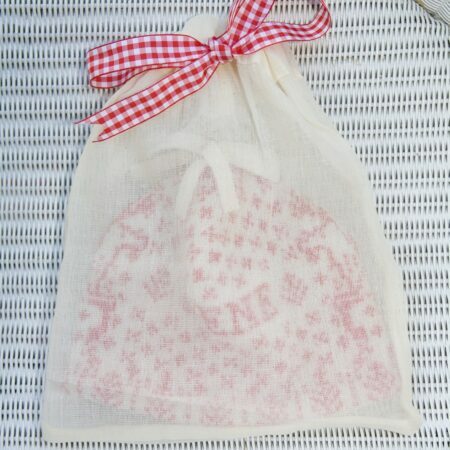 This warm and cosy baby hat is individually made to order, with baby’s name knitted across the front. 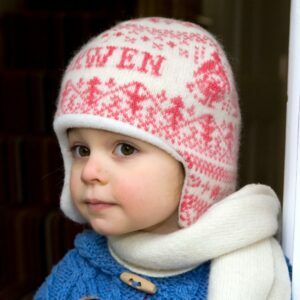 Made from knitted and felted wool/cotton, this hat is sure to keep little ones warm, and the soft fleece lining is gentle against delicate skin. The hat also features an adorable felted wool tassel. 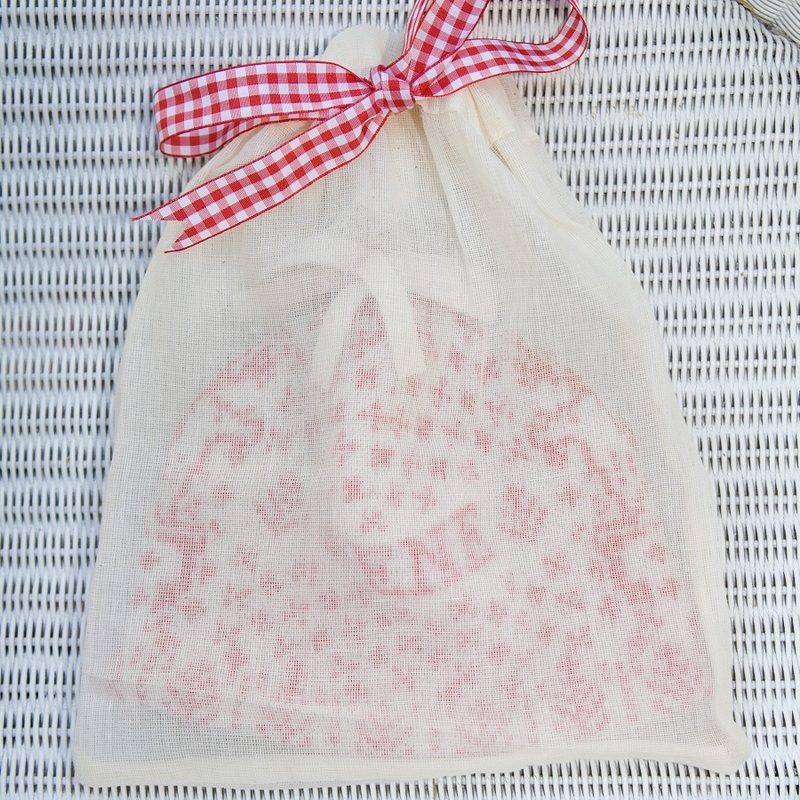 Your hat will arrive in a muslin bag, tied with gingham ribbon – perfect if you are giving as a gift. 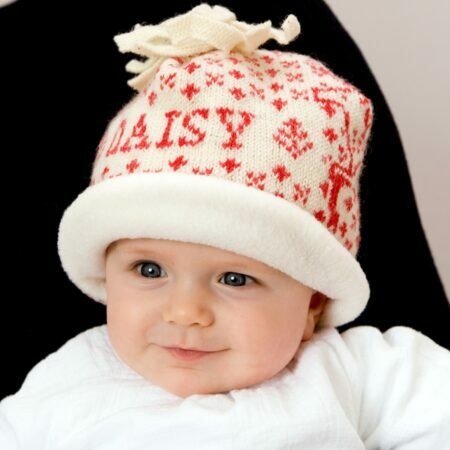 The personalised Baby Reindeer Hat features a traditional wintery design of reindeer and snowflakes. 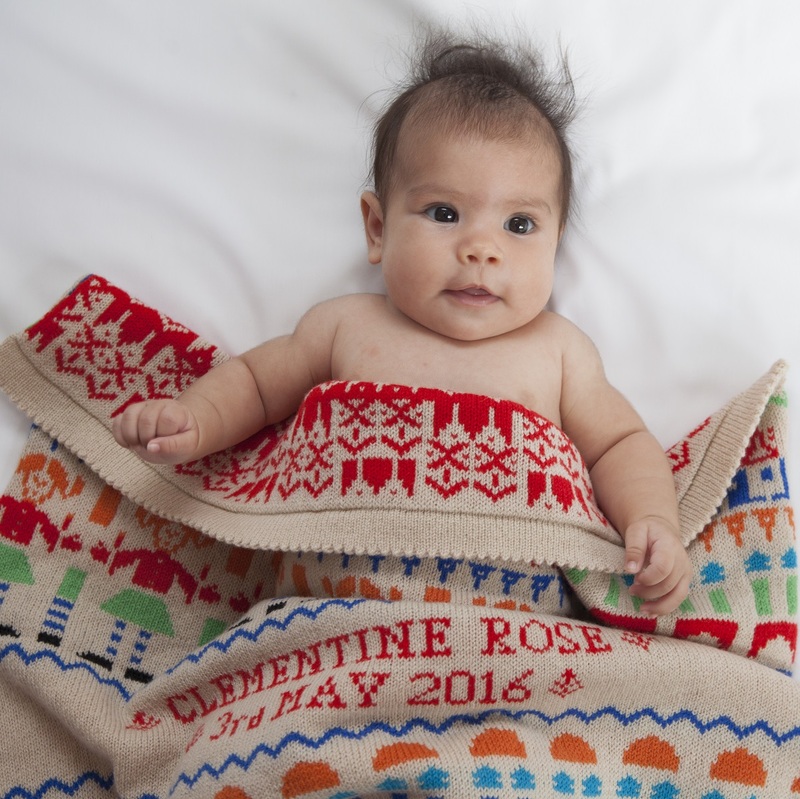 There are two sizes: 3-6 months (46cm) and 6-12 months (48cm). These sizes are approximate as the hats are soft and stretchy. 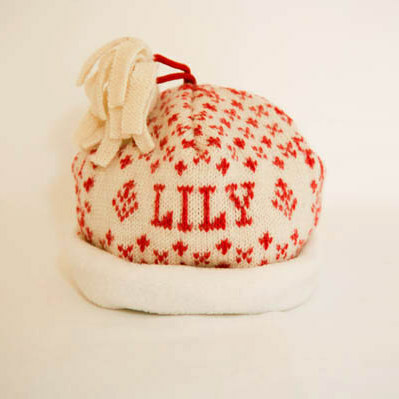 If you are looking for a similar hat in a larger size, please see my Personalised Reindeer Hat. 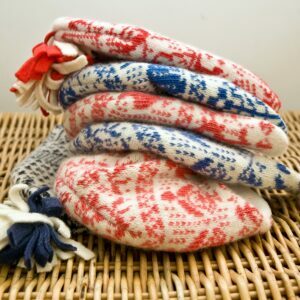 Also available are matching mittens, knitted in the same felted wool/cotton and lined in soft fleece. If you would like to order matching mittens (£20 for pair), please write the initial alongside the name for the hat in the “Name” box. Please note, we are selling the mittens in pairs, with the same initial on each mitten. The mittens come in one size only, 0-12 months.